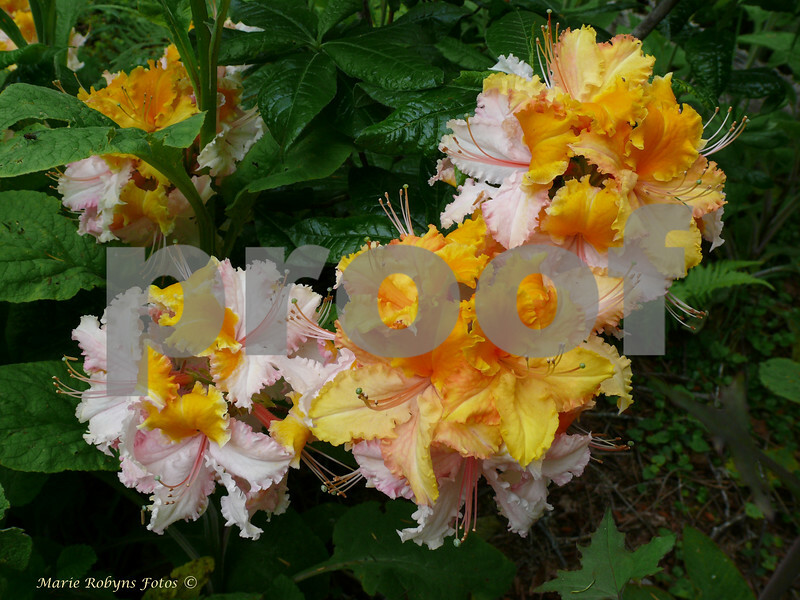 Washington State Centennial, an occidentale and rhododendron cross, was hybridized by the legendary rhododendron breeder in the Pacific Northwest, Dr. Frank Mossman. The name reflects a celebration of 100 years of statehood for Washington State. The photograph was taken in a coastal Washington garden on June 24, 2008. The blossoms open mostly gold and orange, and become whiter as they age.